Dr. Kate Hays, C. Psych., CC-AASP specializes in sport, performance, and clinical psychology through her practice in Toronto, Canada, The Performing Edge. 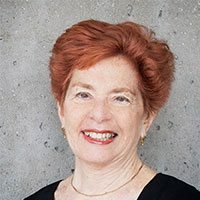 She offers workshops, mental skills training, and counselling and consulting services, to individuals and through organizations such as the Canadian Sports Center – Ontario, Canada’s National Ballet, School of Toronto Dance Theatre, and the Faculty of Music of the University of Toronto. As an independent scholar, Dr. Hays is an international authority on sport and performance psychology, having authored five books, numerous professional articles and book chapters, and has lectured widely across the English-speaking world on these subjects as well. Her focus is often on the interface between sport psychology and the performing arts. Associate Professor Rae de Lisle is Head of Piano at the University of Auckland. 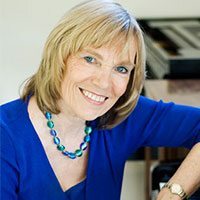 Rae was one of New Zealand’s foremost concert pianists until 1993, when an injury changed her focus to teaching and research. Her teaching has produced many outstanding pianists who have gone on to international careers. She received an excellence in teaching Award from the University in 2011. In the same year she received the Marie Vanderwart Memorial Award for outstanding service and commitment to fostering the love of chamber music. Her PhD research into focal dystonia has resulted in specific concepts about instrumental retraining. This research has assisted a number of musicians to return to playing professionally and has led to presentations throughout the world. She is Artistic Director of the Wallace National Piano Competition and Festival and was an adjudicator for the 2009 Singapore National Piano Competition and the 2012 Dublin International Piano Competition. Dr. Cate Madill is the Director of the Voice Research Laboratory at the Faculty of Health Sciences, University of Sydney. She conducts experimental and applied clinical research into the mechanism and processes that change the voice. She also works as a speech pathologist in Sydney, NSW and has 15 years experience in the assessment and treatment of voice disorders in the performing arts community. 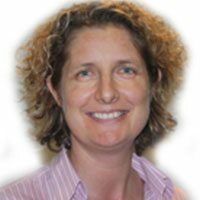 Cate is recognised nationally and internationally for her research and experience in voice and has published in peer-reviewed academic journals. She originally trained as an actor and singer at Flinders University of South Australia and worked as a performer for many years across NSW. She is voice consultant to the radio department at the Australian Film, Television and Radio School and has conducted voice training workshops for actors, singers, teachers, call centre workers and auctioneers. Cate is also the director of Cate Madill Voice and Speech and Voicecraft International, an international voice training organisation that provides voice training to speech pathologists and singing teachers in Australasia and Europe.